Back in 1968, of the three major T.V. networks vying for prime time Nelson-rated viewership, ABC was third down the list. They needed ratings and bad. A plan to boost their standing came in the form of offering the public ten debates, one each post the nightly coverage of first the Republican and then the Democrat presidential conventions. 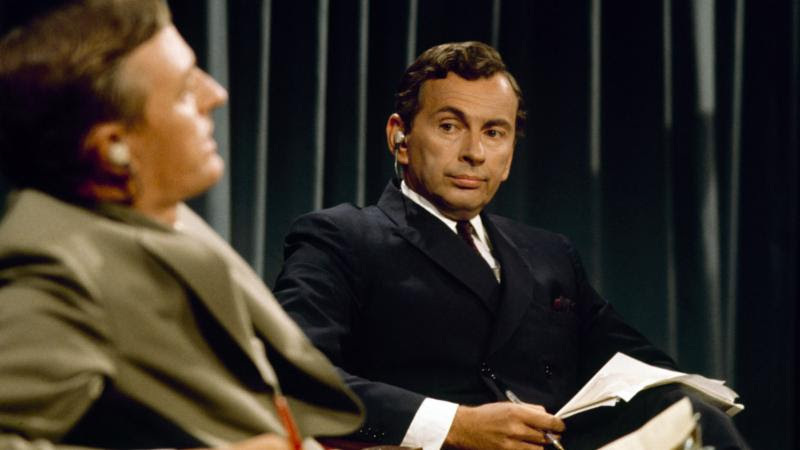 The two people ABC picked to debate: Gore Vidal and William F. Buckley, Jr.
Best of Enemies tells the tale, brilliantly so I feel, about these debates. It is offered and I would agree, that these sit-downs between Buckley and Vidal (good chunks of which we are shown in this documentary) changed television news forever and gave way to our modern talking-head argument left vs right programming. The film also explores-though ever so slightly-who Buckley and Vidal were before the debates, and shows how the debates effected them in their respective futures. In Best of Enemies, filmmakers Robert Gordon and Morgan Neville give us a perfect picture of a wonderful age in American politics, lovingly reveal the very best of the art of debate and remind us that there was a time where great thinkers could expound on their views, even argue and call one another names, without fear of being politically incorrect…and the world was a better place because of it. Best of Enemies is in select theaters now.